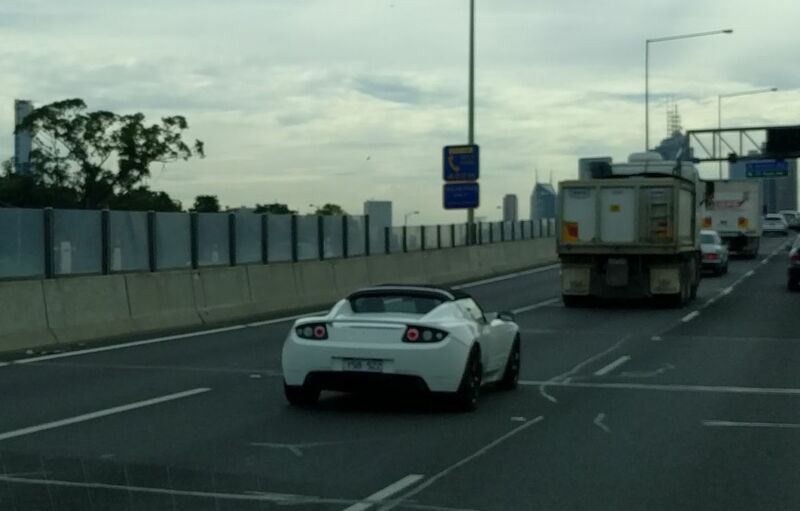 Here is a car I did not expect to ever see on the road; a Tesla Roadster! After initially thinking I was looking at a Lotus Elise, the black tail light surround triggered a light bulb moment that this car was rather more unusual. There is quite the story behind the Roadster, as both Martin Eberhard and Elon Musk have revealed in some remarkable transparency over the last few years. The story of Tesla with its expansion with a wider range of vehicles and beyond into battery production and household battery banks is reasonably well-known, and I am not going to explore those within this article, but what I did find interesting is that some aspects of the development story has been revealed by Eberhard and Musk in interviews, shareholder meetings and presentations. The Tesla Roadster is quite a landmark vehicle really, as the first of a new wave of electric vehicles after the few late-nineties CARB-inspired EV conversions of regular production models from Ford, Honda, Nissan and Toyota – and not to forget the GM EV1. 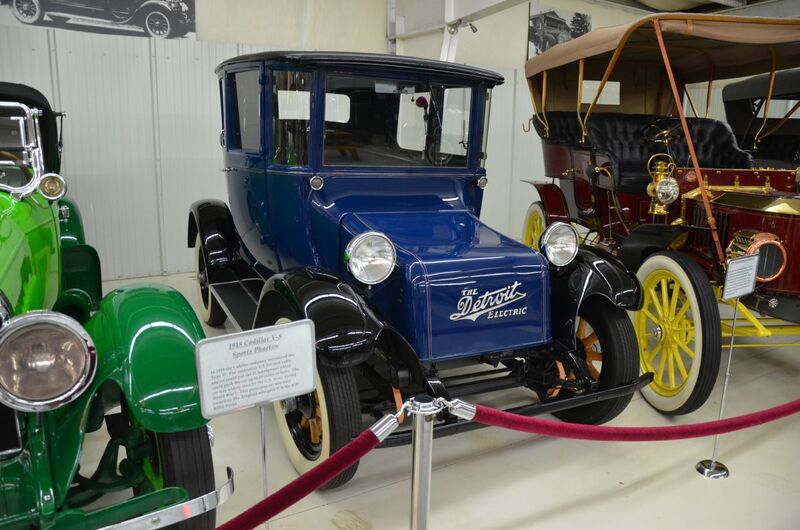 You may already know that electric vehicles go right back to the early days of the automobile, when they provided a viable alternative to what were then cantankerous mechanical contraptions, whether internal-combustion powered or external – in other words, steam – particularly before the electric starter was introduced from 1912 and gasoline vehicles became dominant. This (largely unchanged) 1931 Detroit Electric is one from the latter end of the early electric car period, although Detroit Electric persisted until 1939. It is interesting that it took the best part of a century to make a significant improvement in commercially-available electric range. But as well as the wooden artillery wheels, another notable anachronism is the tiller steering. 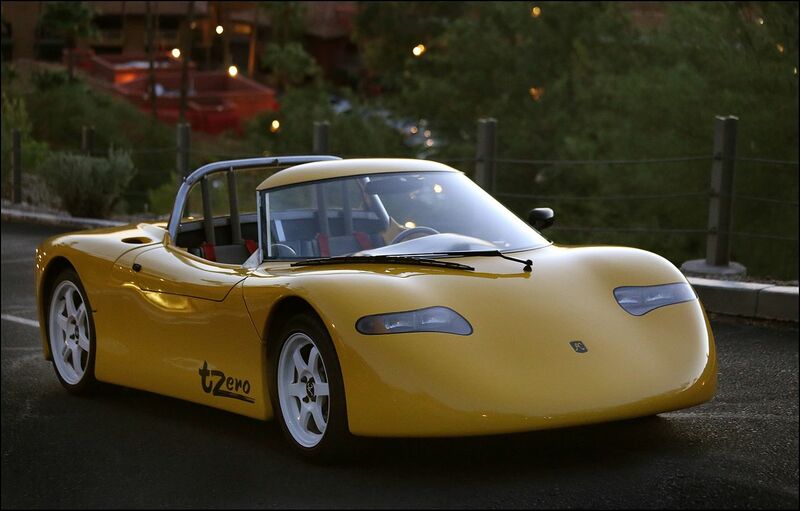 But back to Tesla, which was founded by Martin Eberhard and Marc Tarpenning in 2003, after a drive of the AC Propulsion tzero which demonstrated via its AC induction motor that an electric car could accelerate faster than most sports cars on the market. They recognized that there was the opportunity to get in on the ground floor of the ‘proper’ electric vehicle resurgence. Tesla was incorporated in July 2003, with the name chosen to honour the inventor Nikola Tesla and established their premises in Menlo Park, just south of San Francisco. Apart from some lofty goals relating to the ability of the new car, their initial business plan also mentions the other key which enabled the whole idea to proceed, which is the increased level of outsourcing of the automobile industry to supplier technology and components, so that a start-up car manufacturer would not have to develop every nut, bolt and sub-system themselves. Early on many principal decisions were taken, such as not wanting to franchise dealerships so as to have a more direct relationship with the end customer, and that they had to base the car on an existing model because they were not in a position to do everything in-house. A key proposition was to target a high-end car which could support the cost of the cutting-edge technology involved. Lotus was quickly identified as the ideal partner, due to their engineering consultancy as well as having the small Elise sportscar that had the small size and light weight necessary not to overwhelm the capacity of the batteries. At the same time as the a deal was struck with AC Propulsion to license to licensing their EV Power System and Reductive Charging patent that integrated the charging electronics with the inverter. On the other hand, the control system was analogue, which in clearly had to change in order to achieve optimal efficiency, so this was had to be completely redeveloped. 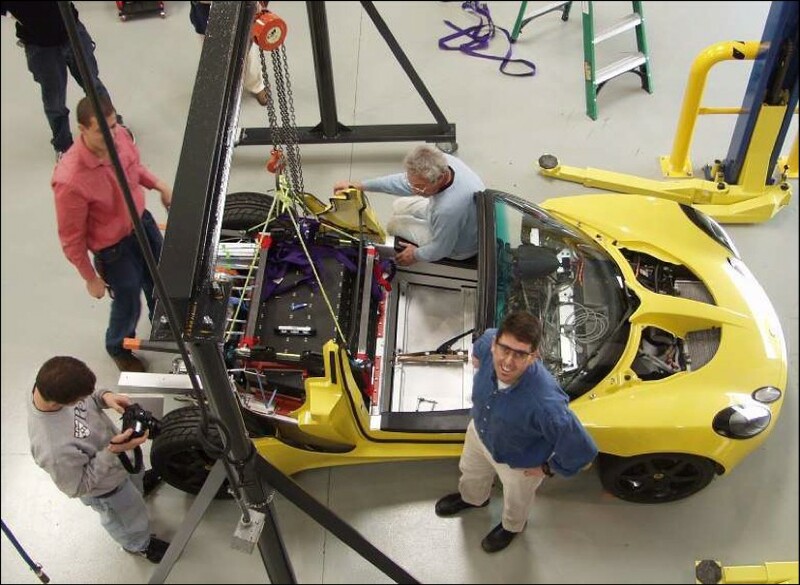 A key issue AC Propulsion lead-acid absorbed glass matt (AGM) battery pack was air-cooled, which was not adequate for the high performance (and thus heat production) required by the Roadster’s performance goals. I’d say this would turn out to be an advantage for Tesla in the longer term, as their liquid-cooled lithium-ion battery array of basic individual cells became a key aspect for their later production cars and other applications. 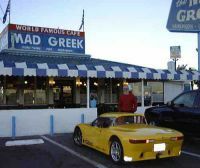 The first prototype, essentially an electrically-converted Elise, ran in November 2004 and was successfully tested, and in July 2005 an agreement with Lotus was signed to supply an Elise-based chassis. Due to the size of the chosen battery pack, the wheelbase was stretched by 2 inches, and Musk also insisted that the door sills had to be lowered to ease entry and egress. Due to the structural body changes, new crash testing was required. The suspension and braking systems were both redesigned, and new carbon fibre outer bodyshell panels were designed based on a styling concept by Barney Hatt of the Lotus Design Studio. Musk has said that, again with hindsight, they would not have started with a Lotus because of the degree of change, but one has to wonder how much longer the process would have taken and now much more it would have cost to have done in-house? Musk also drove many design changes, such as upgrading interior trim quality and insisting on bespoke headlights rather than an existing component. While these issues added cost, they also added value for what was going to be an expensive car. 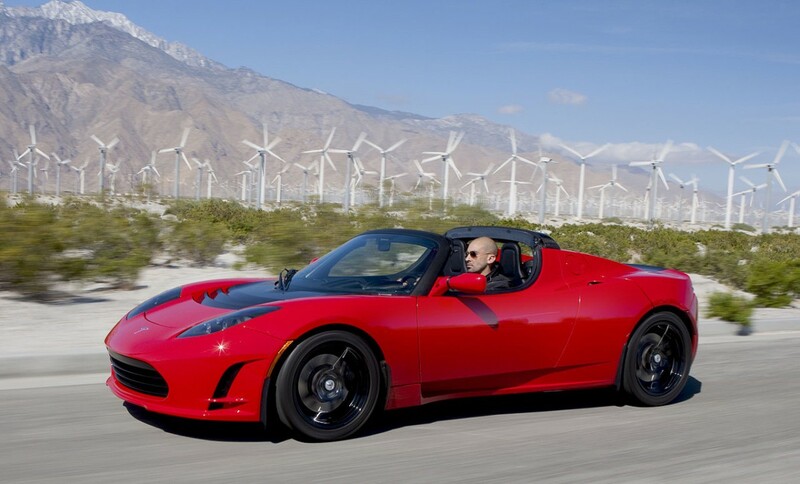 The Roadster was launched to the public at Santa Monica Airport on 19 July 2006, taking orders for a mid-2007 release. Musk revealed that the cars’ drivetrains were badly damaged by overheating when demonstrating the performance despite pumping ice water through the liquid cooling systems, and each car had broken one of the motor mounts. But the cars had impressed many people and changed a lot of minds about electric cars and there was also a lot of press coverage. Very shortly over a hundred orders were placed. Subsequently ten engineering prototypes were used to finalise the cars’ specifications, and then a series of pre-production prototypes were produced from March 2007, for activities from validation, evaluation and endurance driving to crash testing. 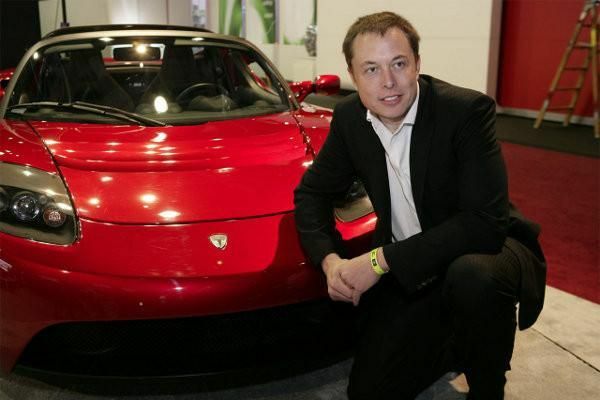 After many developmental delays, rounds of additional investment and growing pains from a company perspective, including Eberhard being replaced as CEO, the first production vehicle was finally delivered to Elon Musk in February 2008. Production got off to a slow start, and not due to the US$109,000 price tag, taking approximately 6 months to reach 20 deliveries, while 200 vehicles delivered after the first 12 months. There were also some problems with the initial two-speed gearboxes being unable to handle changing gear, which led to their replacement by a single-speed Borg Warner unit. 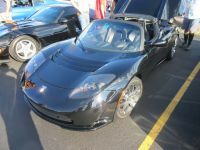 The Tesla Roadster was the first production car to be powered by a Lithium ion battery, and the first to be rated with over 200 miles of range – in addition to the 3.9 sec 0-60 time this was the most significant aspect of the Roadster’s performance. This was due to the 53 kWh battery pack which consisted of 6831 laptop-type battery cells, which could be recharged in 3.5 hours on a 240V, 70A fast charger, or a whopping 48 hours if all you had was a 15A 110V outlet. A replacement battery would cost US$40,000 after its expected lifespan of 100,000 miles. While media response was almost overwhelmingly positive, and test drive reports glowing, one fly in the ointment was an infamous review on Top Gear. 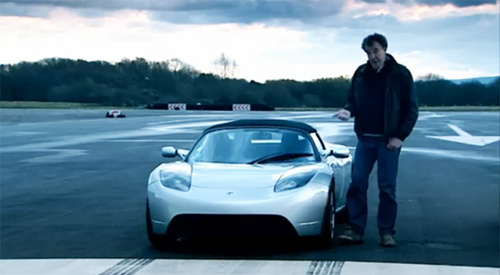 Despite praising the car’s performance, Jeremy Clarkson was not as impressed by the handling and stated that range when driven on the track was just 55 miles; ok so far because any car experiences range reduction of that nature on track, but then he went on to claim the car suffered brake failure before footage showed the Roadster being pushed off the track. This was despite the car never having its battery go flat or having brake failure; in other words typical “entertainment” spicing-up from Top Gear. Eventually Tesla sued, and appealed after losing the initial case, but their libel claim was eventually rejected in the British High Court. 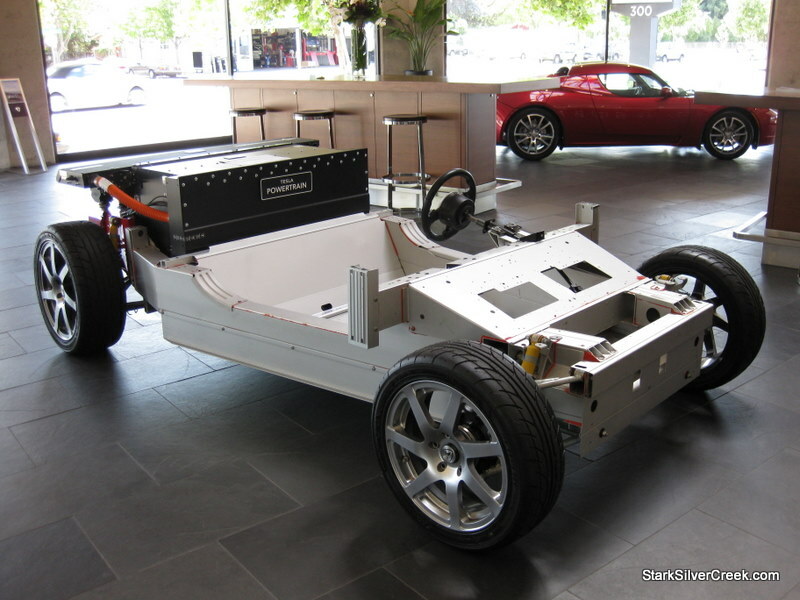 In July 2009 the 2010 model year Roadster was introduced, with an upgraded interior including a new display screen that could display performance data, adjustable suspension, improved NVH suppression, upgraded HVAC and a more efficient motor. A Sport version (above) was also introduced that featured an additional 40 bhp and cut the 0-60 acceleration time by an oh-so-important 0.2 sec. On 27 October 2009 Aussie Simon Hackett set an electric car distance record when he drove 501 km (311 miles) south from Alice Springs in Global Green Challenge, at a speed of 50 km/h, crossing the NT/SA border and another 214 km before stopping with about 5 km range remaining, whereupon the car was recharged (with a diesel generator) before completing the trip to Coober Pedy. 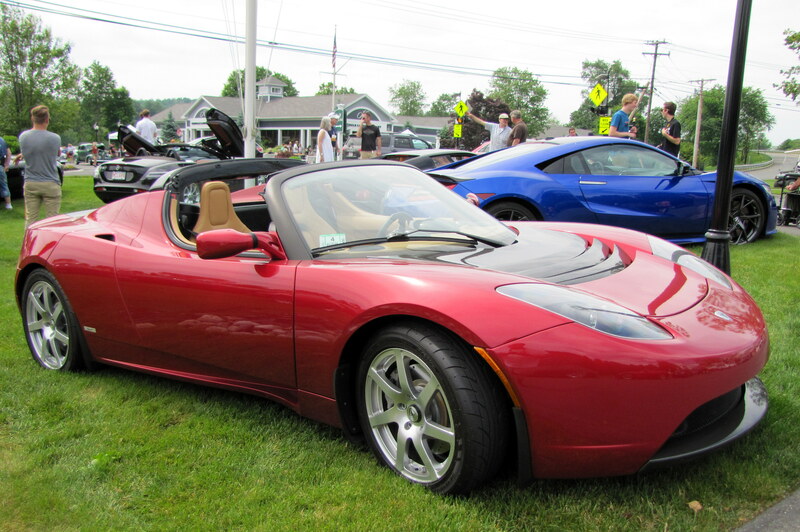 Tesla launched its IPO on 29 June 2010, and shortly after the Roadster version 2.5, which featured new styling as well as further incremental improvements. Despite the update, and the car being launched in many more markets, available information on production indicates that 2010 saw a decline with only around 400 Roadsters being produced for the year. 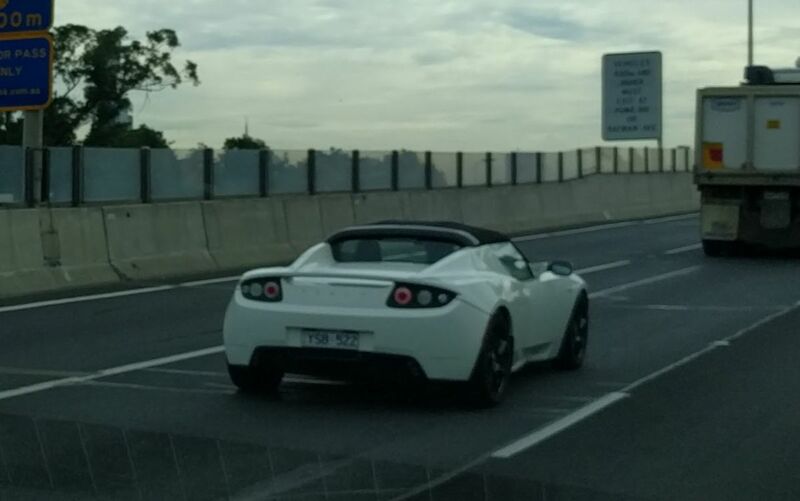 The Roadster was launched in Australia in January 2011, costing AUD$209k, and somewhere between 12 and 20 were sold here; no wonder I was so surprised to see one on the road! 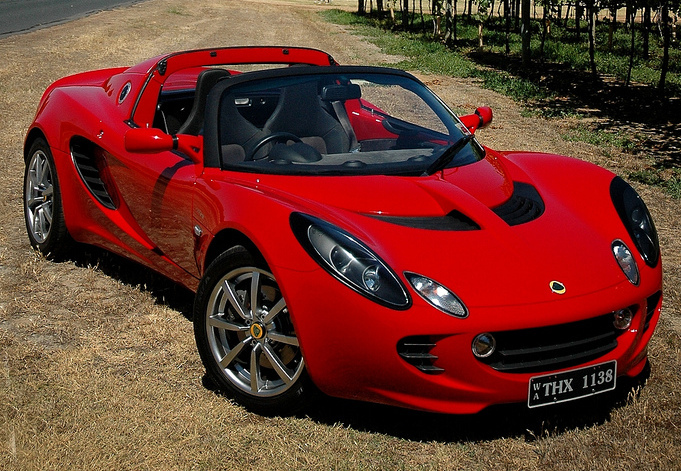 2500 were built in total before the Roadster went out of production when the contract with Lotus expired at the end of 2011, with the last cars sold outside of the US in 2012. Mind you, the model was doomed anyway because this also coincided with the expiration of Tesla’s exemption from having to fit smart airbags, an issue that also applied to Lotus. Around 1800 Roadsters were sold in the US, and about 575 in Europe. 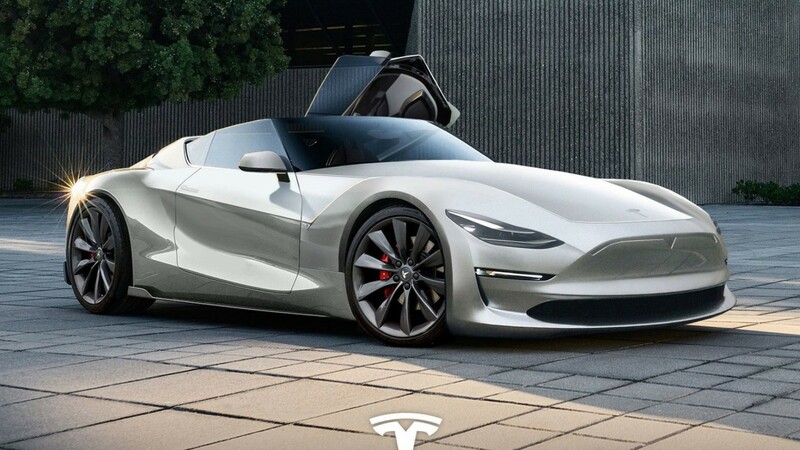 Apparently the story has not reached its conclusion yet, as Tesla have stated they will bring out a new Roadster in 2019 (above is a speculative rendering done by Jan Peisert, and last year released a 3.0 package for owners to upgrade to an 80 kWh battery for US$29,000. Postscript – I’m not sure if the production-vehicle EV distance record has been beaten, although last November a Japanese team drove a Suzuki Every van (that must have been filled with batteries) 813 miles / 1300 km around Ogata village at 30 km/h or so (18 mph). There has also been an electric Brighsun bus that did 623 mile / 1018 km trip on a single charge. 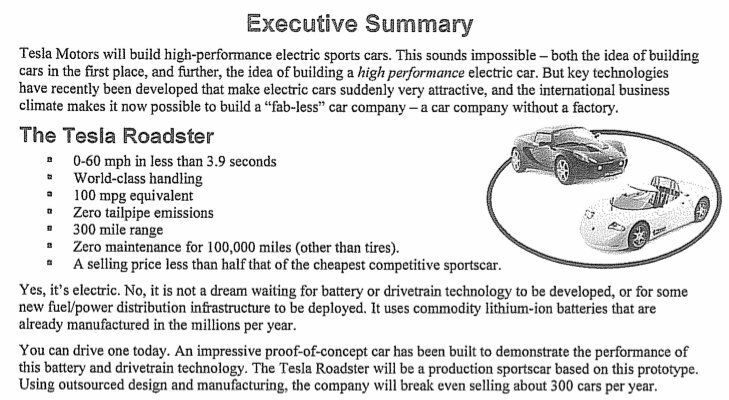 Book Report: Elon Musk; Tesla, SpaceX, and the Quest for a Fantastic Future – The Henry Ford Of Our Times? Independents’ Week Question: Tesla – The Next Kaiser-Frazer? Or The Next Mercedes? An electric Renault Dauphine might be closer to my budget! There was a home built Renault Caravelle electric conversion in my neck of the woods in the 1970’s. Very nicely done, but with a range limited to local driving only by it’s simple lead-acid battery power source. It ran reliably for many years. Unfortunately, I have no photos of it. I knew a guy here in Eugene with a Caravelle conversion; last time I saw it on the road was about 20 years ago. There was a real wave of these lead-acid conversion in the mid 70s after the first energy crisis, and then another in the early 80s after the second energy crisis. They are out there, the Henney Kilowatt. It was a Dauphine converted to electric power back in the 1960s. There are 2 for sale, but both “need restoration”. Very interesting article, bringing to light a lot of details I hadn’t heard of before. Regarding that Suzuki distance challenge: 30kmh/hr? And this is taken seriously? Uh, I can keep that kind of speed up on a bicycle (for about 10-12 miles at a stretch), and do so on my Sunday rides, pushed along by my riding partner. I don’t see where this is a speed that has anything to do with reality. There are moments that I wish there was some kind of testing standard that a vehicle would have to meet for the test to be considered legitimate. Something where the tested vehicle would have to be driven at actual real speeds that would not have it be a danger in traffic. This one reminds me of a publicity stunt done by Peugeot in America during the 70’s (late 70’s if my memory is holding up), where a small Peugeot not normally sold in the US (305? again, memory) was driven across a number of states to reach and hold 50mph. This was in between the two gas crises. The speed chosen to reach that number? 30-35mph. At which point, I lost all interest in any reporting of the stunt. The Suzuki van was driven around Ogata Village at 30kmh. That’s probably the speed limit in the village, or close to it. That is why I only mentioned it as a postcript, just as a point of interest. Stuffing the thing full of batteries (I assume) makes it a curiosity only IMO. Presumably with a slightly bigger van you could fit more batteries before the excess weight reduces range again; an exercise in maths and logistics – without wanting to take anything away from the team that actually DID it. 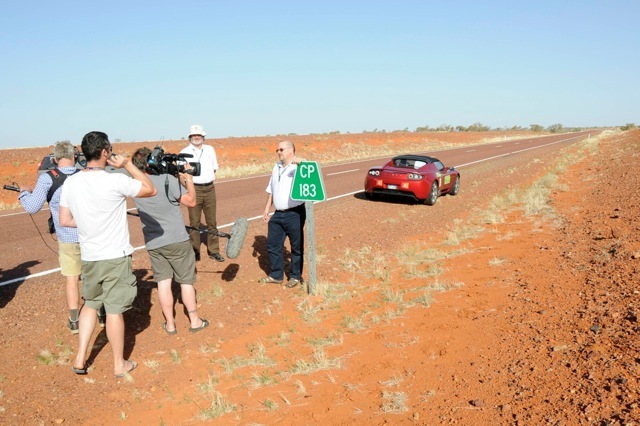 On a vaguely related note, the interview about the Australian record also mentions the solar cars in the same event, which were restricted by the 80 mph (130 km/h) speed limit in the Northern Territory! Mind you I gather they are allowed to charge their batteries with the panels from sunrise, so perhaps to slow the cars down they should be restricted to steady-state “live” charging only? 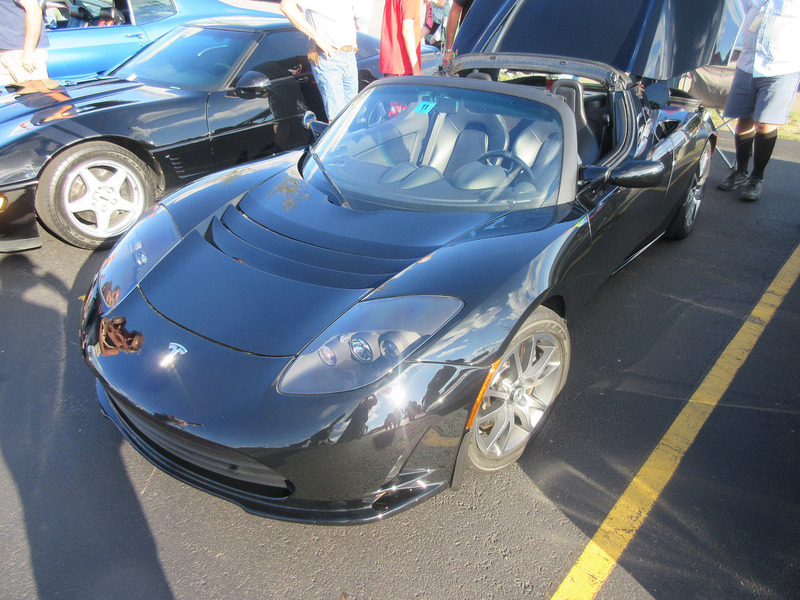 Cars & Coffee/CC Effect, Part 2 – I saw this Tesla roadster at same event last Sunday that yielded the pix of that low mile Toronado that I shared in Joe Dennis’ “CC Conundrum” post earlier this week. Go figure! I see several Tesla sedans in my area, and I MAY have spotted a roadster, but I can’t be sure as it was a while ago, and with me behind the wheel, I can’t take my eye(s) off the road, so sightseeing, unless I’m stopped, is out of the question for my safety and that of others. The Detroit Electric car reminds me of an early electric car Jay Leno drove on one of his shows, riding around Burbank. It looked like fun, and if I recall, ran out of juice and left he and his buddy stranded for a time – but his camera crew was right there, of course! I sure can’t see myself traveling any long distance in an all-electric vehicle, however. A Chevy Volt? Yes! I think Jay has a Detroit Electric that he is converting to a Tesla powertrain, it has been mentioned in a few of his restoration update videos. I presume the suspension and wheels will be upgraded to suit! Tesla sedans are the new BMW/MB round these parts- can’t swing a dead cat without hitting one. I’ve been in one a couple of times, and they are very nice, and VERY torquey. Off-the-line performance is off the charts, as you’d expect for an all-electric drivetrain. Thanks for this – when these were coming out they were lost in the noise of several other electric experiments with me. This really is an interesting story, and by now I had forgotten that it all started with that roadster. And I also had no idea that Detroit Electric was continuing to put out horribly obsolete electric cars as late as 1939. I wonder who was buying them then. Those few owners may have gotten the (temporary) last laugh when gasoline rationing was instituted during the war. I wonder if the 1932 Detroit Electric used a Ford body? I can’t be sure, because “they all look the same”! 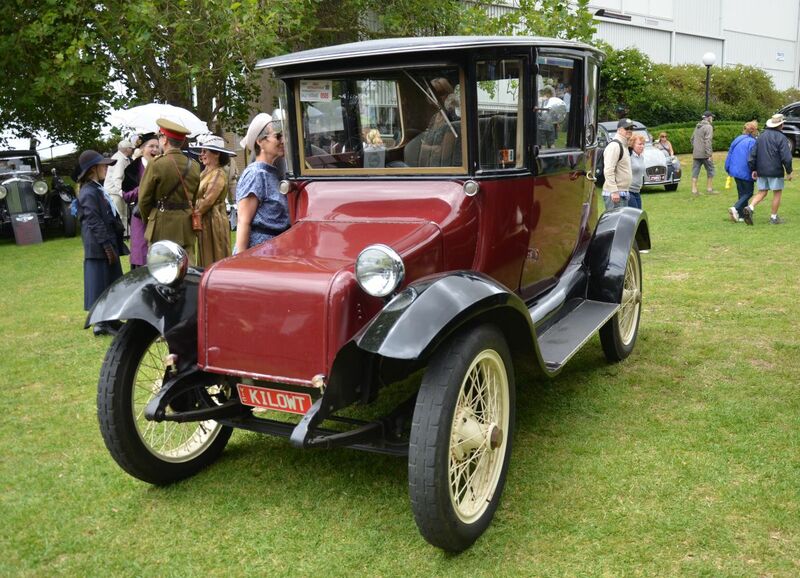 Incidentally the maroon/black one I photographed here in Australia is a 1917. It’s interesting that in some parts of the country these are rare sights, even to eagle-eyed CC spotters. Where I lived in Silicon Valley through 2011, these had become quite common, and I would see half a dozen or so on my short commute every day. 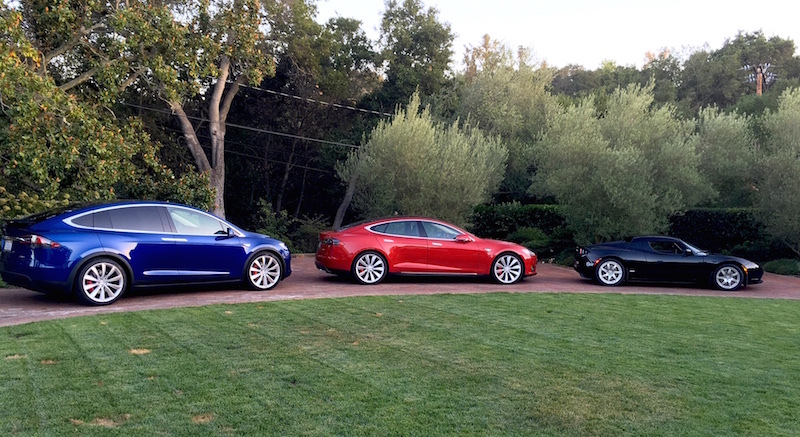 Nothing like the now-ubiquitous Model S and X, though. Like other posters here, I’m starting to see more and more Teslas and about a week ago passed a Tesla dealership about 30 minutes from my house. As far as the roadster, I’ve only seen 1 example…I think. There’s an episode of the tv show LEVERAGE where a roadster is driven “off into the sunset”, so to speak, by the star Timothy Hutton. 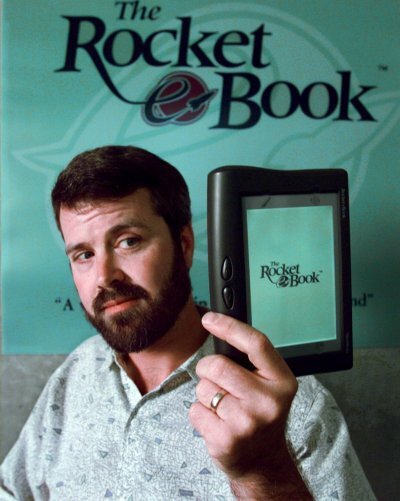 Since that was the only time I saw one, I began to think the company went “bust”. Obviously, I was wrong. Interestingly, that car was apparently the personal vehicle of Dean Devlin the shows creator, and an early example since it was filmed in 2008. Very glad you included the AC Propulsion tzero, Tesla’s progenitor. 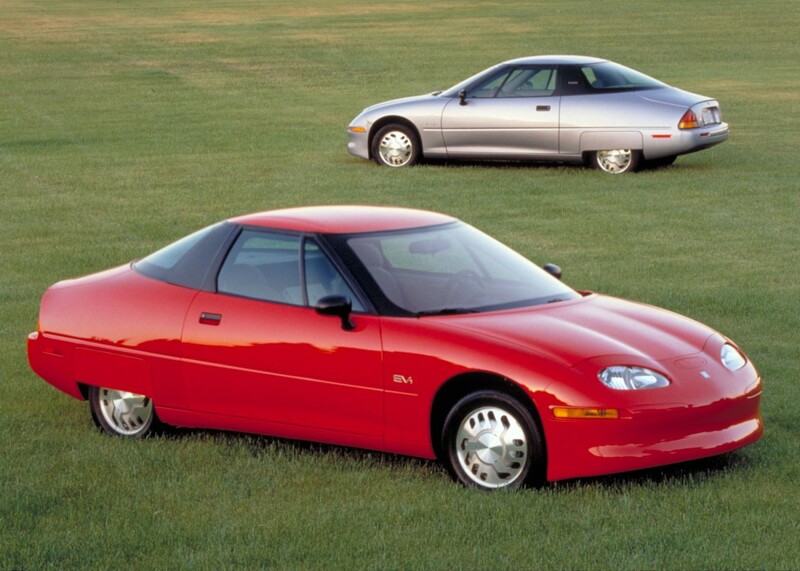 Founder Alan Cocconi designed and built the controller used in the GM EV1. AC Propulsion brought electric car motor and controller technology into the 21st Century, replacing the old DC motor and chopper design with the AC motor and waveform-generating controller, which is capable of regenerative braking. 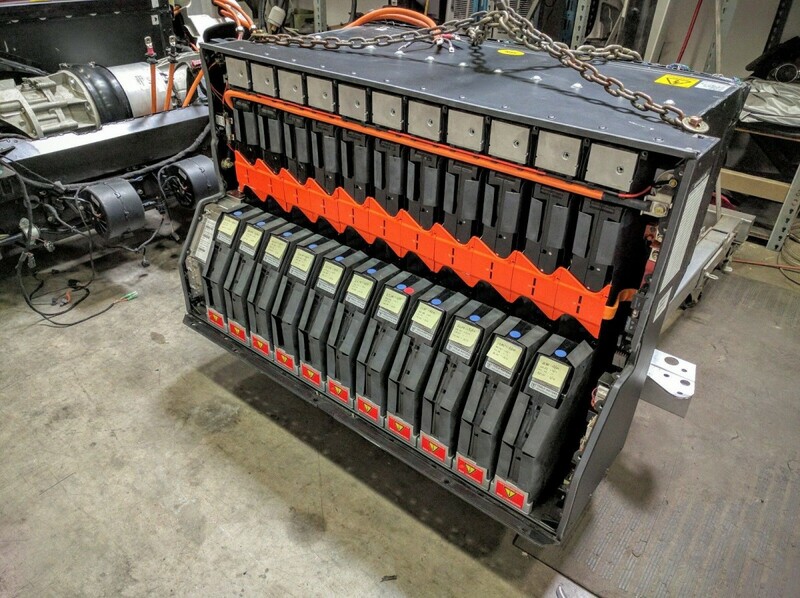 Martin Eberhard commissioned replacement of tzero’s lead-acid batteries with lithium-ion cells, completing the transition into today’s well-established EV architecture. 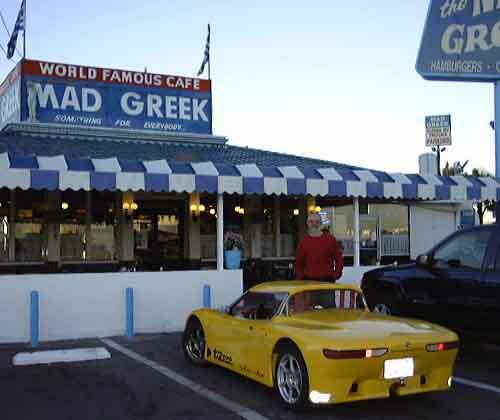 They drove the lithium tzero from LA to Las Vegas without recharging in 2004, the first such long range EV trip. Eberhard encouraged AC Propulsion to take the lithium tzero into volume production, but they declined, so he co-founded Tesla. Alan Cocconi and AC Propulsion proved a car like the Tesla was possible, and kicked off the modern EV revolution. In some bad news I saw a reference to a garage fire that destroyed one of three Tzeros last month. I recently rented a 2014ish Nissan Leaf while vacationing in San Diego for driving around town. Even this economy-grade electric has good performance for what it is. It’s a practical every-day car requiring very little sacrifices from the driver…apart from the obvious range deficiencies. The second generation Leaf is about to beat the Tesla Model 3 to market with twice the range as the 1st generation Leaf. Driving it was fun and easy. Compared to my girlfriend’s Prius, the Leaf was less of a change to get used to than the Prius was from a conventional car. I really liked driving it. The next-gen Leaf, Chevy Bolt, and Model 3 are all practical, fully functional cars with 200+ mile ranges and are clearly poised to break through into the mainstream. I, for one, welcome our electric future. Car and Driver drove a Tesla across the country, stopping every 200-250 miles to recharge and calculate the distance to the next charging station. If the Leaf has the same range and the necessary charging infrastructure is out there, it may very well be my next purchase. I’m excited to see the new Leaf. The roll-out is in the middle of a large teaser campaign styled after the Dodge Hellcat teasers. Pretty clever. Anyway the Tesla 3 will probably get all the cool points but the Bolt and Leaf are likely to be better as cars (as opposed to fashion accessories). They are supported by massive dealer networks and designed by companies that know how to design useful ergonomic cars. A Bolt was charging next to me one afternoon and the driver invited me to check it out. They aren’t quite as funny looking in person and it’s usefully larger than the Leaf. At this point they’re just normal cars with an electric drivetrain. The new generation 200 mile cars are going mainstream. Keep in mind that the Bolt is a “compliance car” whose almost sole purpose is so that GM can comply with the zero emission regulations in CA and the other states that signed on. Production levels of the Bolt are very limited, and it’s been leaked that GM loses $9000 on each one. The Tesla 3 is in a whole different league; it will be the first high-volume EV, and the first affordable one that will have a gross profit margin, due to Tesla’s lower cost of batteries from its Gigafactory and other economies of scale. The Leaf has also not been profitable. And that applies to all the other EVs so far, which have all been made to avoid having to buy ZEV compliance credits from Tesla. Tesla is poised to be the first to build EVs in large volumes with a profit margin. That is a big difference. About the Bolt, I’m not sure I would call production “very limited.” They plan to sell 20,000 to 30,000 per year and the factory is capable of making 50,000. If those numbers pan out that’s roughly 5 times more Miatas than Mazda sells in the US, for instance, a car which no one describes as limited production. The CA regulations may be the motivation but I believe GM is also trying to stay ahead of technological developments to avoid being caught with its pants down as it was in the “hybrid boom” sparked by the Prius. One oil spike and electrics could suddenly be huge. As for the Model 3, any talk of its profitability is mostly speculation. Tesla is doing some cool things but their success isn’t exactly guaranteed. And regardless of why the cars exist, Tesla’s cars have a history of problems with their cutting-edge tech and silly stuff like door handles not working. The Model 3 is touted as having a “barren dash” with only a touch screen…something most people find annoying. The S has lots of complaints about the little things, like door pockets, cup holders, switch gear, etc being poorly designed or absent. That’s why I said the Tesla will have the cool points, but the Bolt & Leaf are likely to be more practical cars. It seems like every other time I install a software update to my smartphone/device the battery life noticeably drops, if I’m being trained by our Silicon Valley overlords to lower my expectations, they have succeeded. I have not had a chance to experience a daily driver electric, but if and when they get to a price point that makes sense for my budget, I would not mind making the switch. I tend to agree with your assessment of range anxiety. I really do believe it is a very overstated red herring that gets tossed about to make electrics less palatable to the masses. Think about your normal daily drives. Do any of them actually involve a 200 mile commute daily? (If they do, why not invest in a new place to live or change jobs?) On average, the normal commute is 15 miles each way and less than 30 minutes each way, or 30 miles and less than an hour total. Even with maximum drain, you are not going to tax the charge capability of even most current generation electrics, and you can often recharge at work, if not nightly at home. I get the idea that you can’t jump into one and drive 300 miles, but when exactly was the last time you or anyone did just that, even in a regular, ICE powered car? I would say that most drives over 200 miles may be better served by mass transit, whether train, plane, or bus (heaven forbid! ), but you can also always rent a car for such a trip if your only ride is an electric. In a new era of ridesharing and probable interval ownership (versus outright individual ownership) that seems to be looming, the electric car seems to be a viable transitional vehicle to own and operate. Gas/Diesel cars will still have a place, but will probably be less common. Range anxiety is a real thing, I felt it. You wind up spending a lot of time watching the range display and worrying about it. You do need to adjust your thinking somewhat. But the reality is–just like your cellphone–you will develop a charging routine, you’ll learn what you can do with it on a charge, how long it’ll take to recharge, the battery will gradually degrade in its old age, etc. I will say that if chargers were more widespread, range anxiety would be reduced. Even in SoCal they aren’t exactly on every corner. I can see an affordable EV for local errands and occasional longer trips. But around here we have now achieved the rating of worst traffic in the nation, and commutes of 15 miles could take an hour or more each way! Factoring in high heat & humidity, how much does running the AC affect the range? That probably requires some digging to ascertain. But EVs are at their most efficient compared to gas cars in stop and go environments, and except for the drain from heating/AC, their range is not impacted hardly at all in such conditions. I firmly felt that these were going to be the Delorean of modern times had Tesla remained an electric sports car brand(which the media presented them as), they both even rode on a tarted up Lotus chassis, and being the purist snob I am a car based on the Elise that weighs nearly a thousand pounds more than an Elise is just nonsensical. The styling I felt was way too close to the Lotus design where it either looked like a kit car or even a new model from Lotus themselves(the Evora is very similar). For me Tesla didn’t strike me as a game changer, let alone a real player until the Model S debuted, the roadster being silent and shiftless takes away almost all of the visceral enjoyment one gets with a sports car, and with the extra weight it simply won’t handle better than the Elise it’s based on, so it’s just a car catered to fringe electric car enthusiasts, and judging by the exactly zero I have seen in the Chicago area and the reported abundance(relatively speaking) in SoCal that seems to be the case. Those traits however are right at home in a luxury car, and the Model S has more distinct and original styling to boot, now Tesla is a familiar sighting. The Roadster could have been a DeLorean. They had a helluva time with two-speed transmission failures. It turned out to be ideal to have a real product with limited sales that they could learn on. 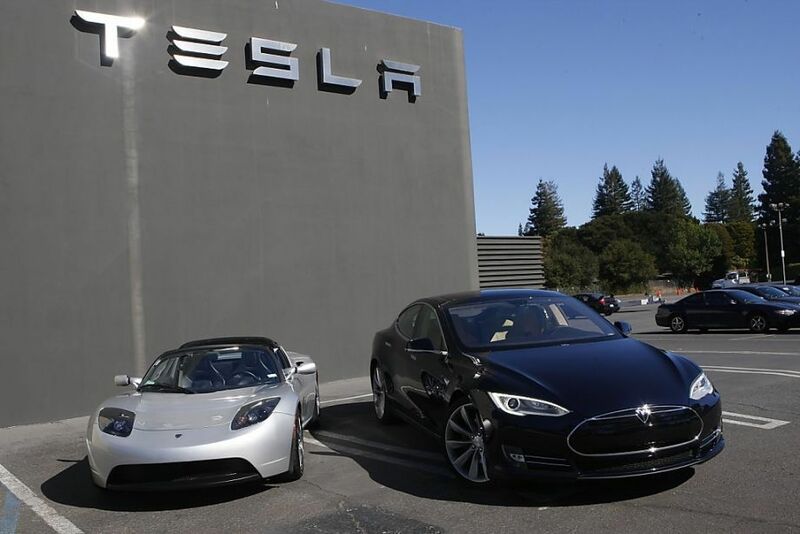 After getting the Roadster reliable and manufacturable, and learning from the several million miles their customers drove, they had both the experience and the technology to do the Model S right. 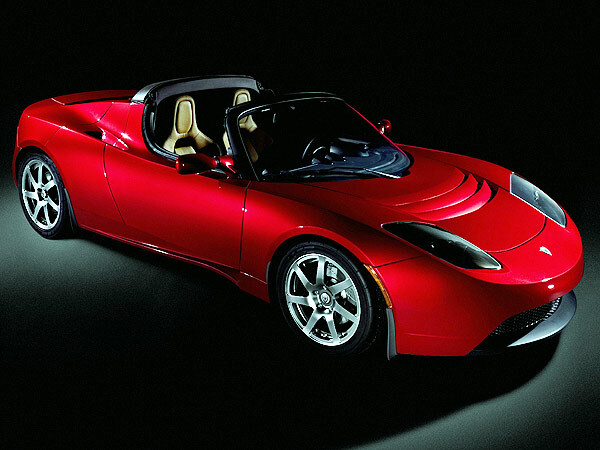 Building high-end EVs like this Roadster and the Model S was a stroke of genius. High-end pricing allowed the big battery pack that gave it both its range and its performance. (More batteries = more current = more torque.) And it dispelled the golf cart image EVs had. But seriously, when I was at my old job, my commute was just under 50 miles a day and there was no opportunity to carpool. A 200 mile range EV would’ve worked. Granted, it would’ve needed to come at a Nissan Leaf price point, but I would’ve been game to try an EV. Heck, my new work commute is under 20 miles a day and I carpool about 90% of the time (with one other person) and I’m still tempted to get an EV. They are fairly common over here in Denmark due to having been exempt from taxes which run 180% of the price of its competitors. The Model S is a dime a dozen though. Thank you for writing this. I only had bits and pieces of the story of Tesla’s beginnings. The few times I have watched Top Gear they seem to full of fertilizer in typical British delusional fashion. I believe this is the only one I’ve ever seen. Then again, any tesla is few and far between around here, I’m lucky if I see one a month. One of my neighbors is in an electric car club or something, so I’ve seen a Roadster (and other oddball electrics) up-close and personal several times. Once one was parked on the street and apparently turned off, yet it was making a noticeable electric hum. I couldn’t tell if the noise was operational, or if it was artificial, just to make the car seem cool and menacing. Most likely it was the cooling system. Teslas have a pretty advanced thermal management system for the motor, inverter, and especially the battery. If the car is parked after some spirited driving it will continue to run until the battery is cool. The Nissan Leaf somewhat cheaps out in this department and is much harder on the battery than Tesla or GM. Apart from the thermal management, with lithium-ion technology there’s a large trade off between getting the maximum range out of the battery and getting the longest life out of it. (Essentially, if you only use 80% of its capacity the battery will last much longer.) Nissan has chosen to maximize range at the expense of longevity. GM has taken the opposite approach, which is great for warrant claims but you need a larger more expensive battery to get the same range. I’m not sure about Tesla.